American Novel Since 1945 - Free Open Yale online course that traces the formal and thematic developments of the novel in this period, focusing on the relationship between writers and readers, the conditions of publishing, innovations in the novel's form, fiction's engagement with history, and the changing place of literature in American culture. The reading list includes works by Richard Wright, Flannery O'Connor, Vladimir Nabokov, Jack Kerouac, J. D. Salinger, Thomas Pynchon, John Barth, Maxine Hong Kingston, Toni Morrison, Marilynne Robinson, Cormac McCarthy, Philip Roth and Edward P. Jones. The course concludes with a contemporary novel chosen by the students in the class. Booknotes - For sixteen years, from 1989 to 2004, Booknotes was C-SPAN's signature author-interview program. Focusing exclusively on contemporary nonfiction books, the Booknotes series created an unparalleled television forum for writers of history, biography, politics, and public affairs. Booknotes format was simple: One author, one book, one hour. For a full hour every Sunday night, fifty-two weeks a year, nonfiction writers were asked to discuss their most recent work. Beyond the book's subject matter, authors were also queried about their research, their writing process, and their own lives and influences. The result is a valuable video resource for authors, researchers, students, readers and educators. 800 interviews from April 1989-December 2004. Differences Between Literary Criticism, Literary Theory, and 'Theory Itself' - Presented by Professor John Lye, Department of English, Brock University. Essential Comparative Literature and Theory, The (ECLAT) - Directory of links maintained by the Program in Comparative Literature and Literary Theory at the University of Pennsylvania. Hassan, Ihab - Writer, critic, eduactor. His major works of criticism that engage the idea of the postemodern - The Dismemberment of Orpheus, Paracriticisms, The Right Promethean Fire, The Postmodern Turn, and many essays - have had an enormous impact on literary culture and theory. The following table is taken from a part of The Dismemberment of Orpheus that was reprinted in Postmodern American Fiction: A Norton Anthology (1998). It has helped many students understand the differences, both concrete and abstract, between modernism and postmodernism. Journals - A comprehensive list of literary journals with an online presence, from Agni to ZYZZYVA. We pride ourselves on having the most extensive and refined yet avant-garde collection of such links on the web. Rorotoko - Exclusive authors' interviews on some of the most fascinating books coming out of some of the finest nonfiction and scholarly presses. 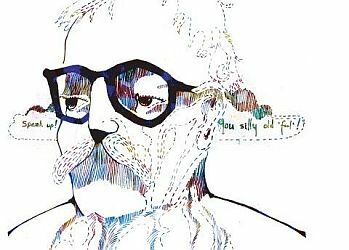 William Empson - Empson was an English literary critic and poet, widely influential for his practice of closely reading literary works, fundamental to New Criticism. His best-known work is his first, Seven Types of Ambiguity, published in 1930. Wikipedia backgrounder. This webpage last updated on Monday, July 4, 2016 8:12 PM.